If you were lucky enough to nab one of those amazing Etihad mistake fares last year/month, congratulations! If your trip will take you to the opulent juggernaut of Dubai, there’s no need to spend hours researching your way around the second-largest city in the United Arab Emirates—TPG Contributor Nicholas du Pont lived there for two exciting years, and wants to help you make the most of your time in Dubai. 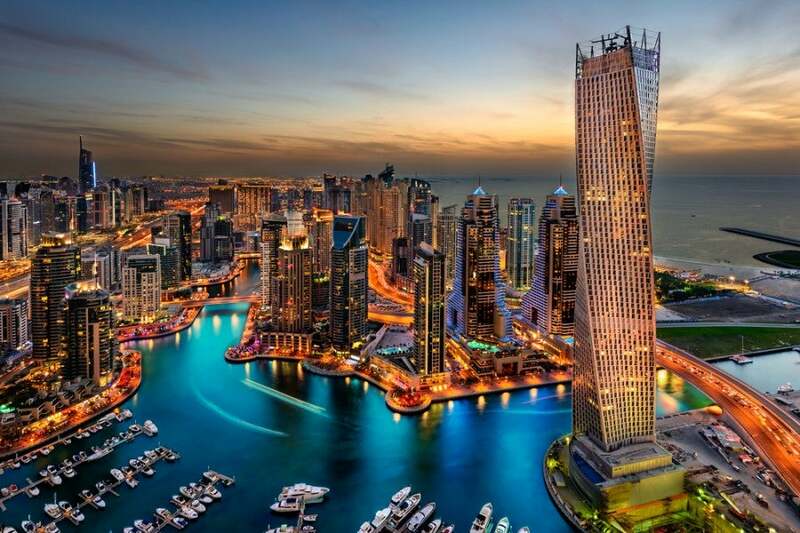 Set beside the Arabian Gulf, Dubai is glitzy, glassy and over-the-top glamorous. Photo courtesy of Shutterstock. Etihad doesn’t fly direct to the enormous Dubai International Airport (DXB), but instead provides a free Etihad Express bus service from Abu Dhabi International Airport (AUH) to the Etihad Travel Mall in downtown Dubai. Buses tend to fill quickly for this 75-minute trip, so make sure you reserve seats at least 24 hours in advance. Note: Before leaving Arrivals at DXB, consider purchasing alcohol at the duty free marketplace, as booze tends to be shockingly expensive in the U.A.E. Dubai’s iconic, sail-shaped and seven-star Burj al Arab. Photo courtesy of Shutterstock. The sheer array of accommodation options in Dubai, much of it bookable with points, can be overwhelming. Narrow the field by choosing a home base either in the DIFC area or the Marina, both of which are well-connected to the rest of the city by the Metro and close to various major attractions. When you look at a map, Dubai is long and thin, with much of the city’s construction hugging the coast of the Persian Gulf. 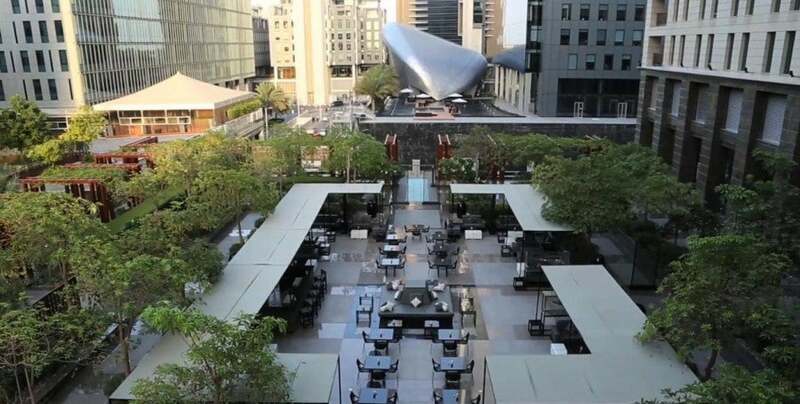 The DIFC is right smack in the middle, and two luxurious choices for lodgings are the centrally-located Jumeirah Emirates Towers (starting at 960 AE (dirhams)/$261 US per night) on Sheikh Zayed Road, Dubai’s main thoroughfare, and The Ritz Carlton DIFC (a Tier 2 hotel that starts at 1,275 AE/$347 US or 80,000 points per night), the area’s only five-star property, which features a 14-story waterfall, indoor and outdoor pools, three restaurants and a spa. Staying in the DIFC puts you close to the metro and near just about everything you’d want to explore: Old Dubai—locally known as the Creek—which includes the Gold souk and some fun places to eat and drink; the Burj Khalifa, the world’s tallest building and now home to the world’s highest viewing deck; popular Jumeirah Beach; and to a lesser extent, the newer part of town, which is known as the Marina. Dubai’s five-star Atlantis was inspired by its sister property in the Bahamas. Out by the Marina, options include the lavish Atlantis The Palm, Dubai (rooms starting at 1,745 AE/$475 US a night), which was inspired by its sister property in the Bahamas and features a three-story underwater suite; The Address Marina (starting at 1,199 AE/$326 US), one of a local mini-chain of contemporary, five-star properties that cater to both business and leisure travelers; and the glamorous, lushly-landscaped Ritz-Carlton Dubai, a Tier 5 property that overlooks the Persian Gulf and starts at 1,400 AE/$381 US or 140,000 points per night. The Madinat Jumeirah is set amidst the Madinat Souk and its waterways. If you want a more exotic feel, then look at the Madinat Jumeirah, a sprawling fairy tale of a resort that’s set amidst the Madinat Souk and its waterways, where you can glide around on small, traditional boats known as dhows. The Madinat, which has its own private beach, is split into three distinct properties: rooms at Mina A’Salam, an airy boutique hotel-within-a-hotel, start at either 990 AE/$270 US; rooms at the Al Qasr, designed to mimic a sheik’s summer palace, start at 2,070 AE/$564 US; and the stand-alone two-story houses at the Dar Al Masyaf & Malakiya Villas start at 1,890 AE/$515 US a night. 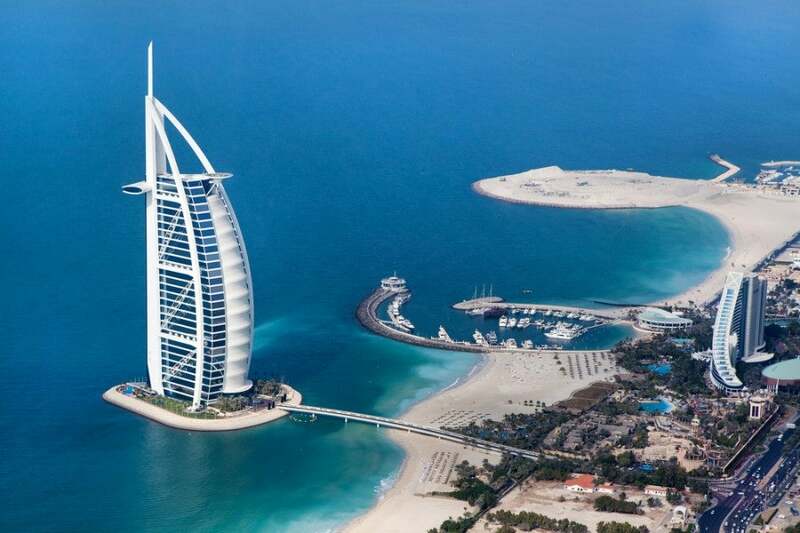 If the Madinat isn’t expensive enough for you, have no worries—right next door you’l find the iconic, sail-shaped, seven-star Burj al Arab, where suites start at a hefty 7,030 AE/$1,914 US per night. 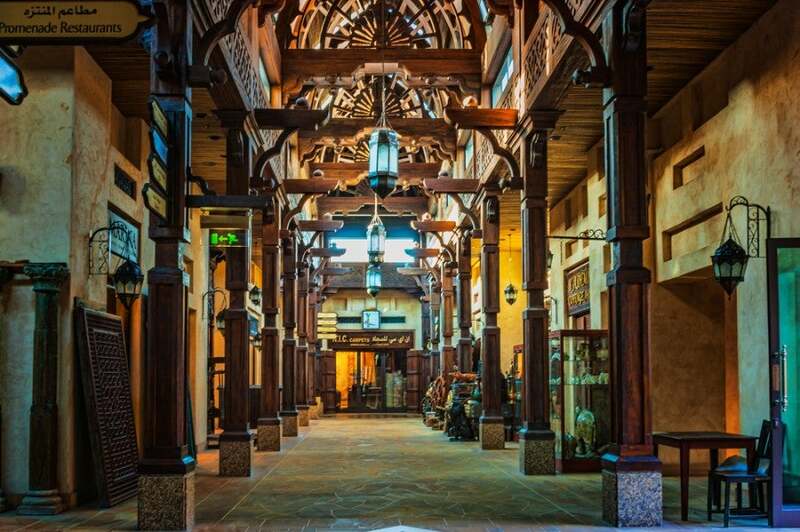 The splendid interior of the Madinat Souk. Photo courtesy of Shutterstock. 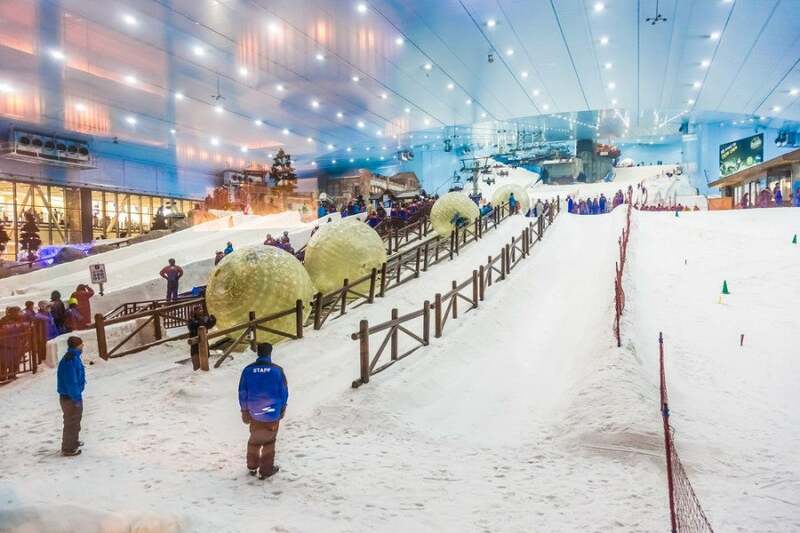 Ski Dubai allows you to ski…inside the Mall of the Emirates. Photo courtesy of Shutterstock. If you have kids with you, they’ll have a great time at the elaborate, splashy Wild Wadi Waterpark; note, though, that the park will be closed for maintenance from January 11-February 11, 2015. If you manage to visit while it’s open and are still hot after a dip in the pools, head to the Mall of the Emirates and hit the slopes for some indoor skiing at Ski Dubai. Here you can rent everything from skis to down jackets, and even take a skiing lesson if you like the idea of working on your parallel turns in the middle of the desert. 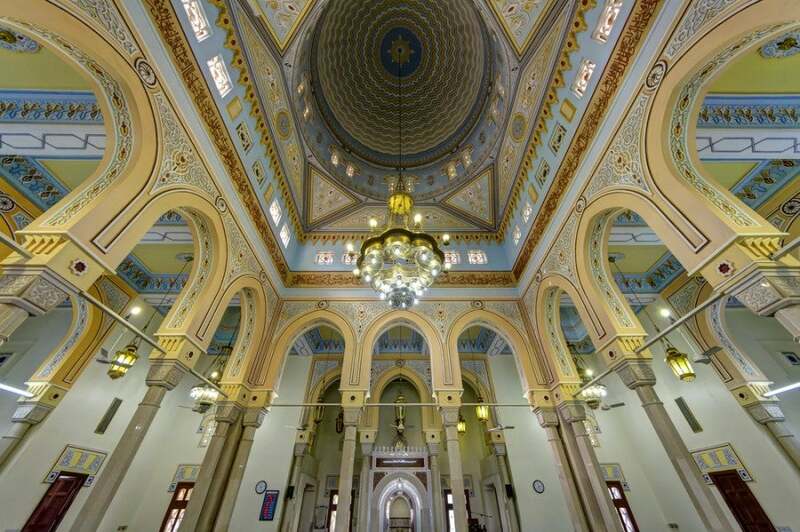 Ornate ceiling of the Jumeirah Mosque. Photo courtesy of Shutterstock. If you’d rather stay fit by going for a run outdoors, then I highly recommend the Jumeirah Open Beach Jogging Trail. Better yet, grab a picnic lunch and head to the trail, as there are plenty of quiet, safe, tranquil spots to spread out near the beach. Towards the end of the trail is the Jumeirah Mosque, one of the largest in Dubai, which offers guided tours to non-Muslims at certain times of the day. 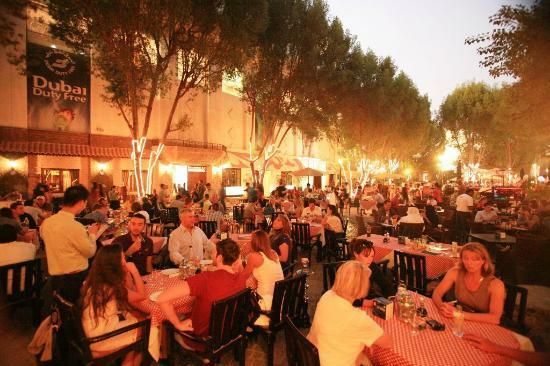 Dubai’s Irish Village is a popular hangout for expats. You can ride a dhow ferry over to Dubai Creek for as little as 3 AE (about $1 US) and head to The Irish Village, a popular place for expats to relax, listen to live music, and escape the sand and grit. 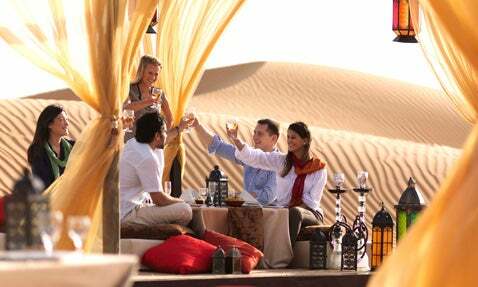 Tour company Arabian Adventures is just one provider of Dubai-area sand safaris. Speaking of which, no trip to Dubai would be complete without a desert safari, and Arabian Adventures organizes anything from a morning to overnight tour to a simple dinner by the dunes, with or without camel rides. Such tours are common, so you might also want to check with your hotel concierge for a recommendation of a special deal or discount. Starwood’s Al Maha Resort and Spa is set within the Dubai Desert Conservation Reserve. 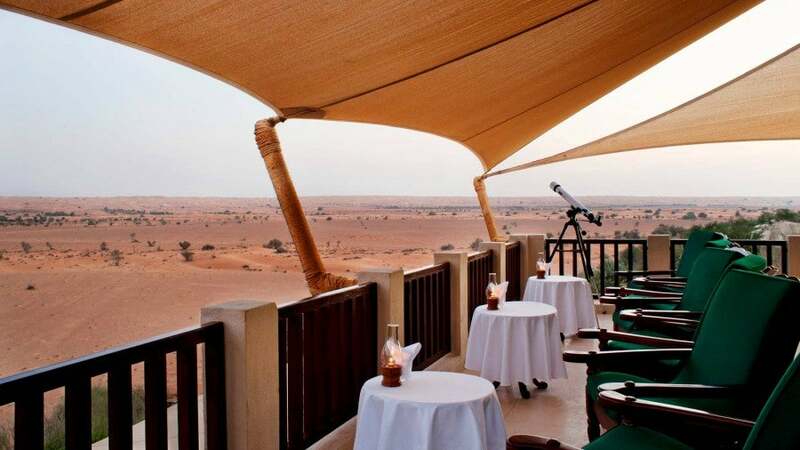 If a daylong safari isn’t enough for you, then book a few nights at the Al Maha Resort and Spa, a luxurious desert oasis and SPG Category 7 property that starts at 4,433 AE/$1,207 US (pre-paid and non-refundable) or 30,000 Starpoints a night. Set within the Dubai Desert Conservation Reserve, Al Maha has everything you need to really unwind: private pools, horseback riding, wildlife safaris and spa treatments. If sleeping in the desert isn’t your thing, know that their spa also offers day packages that include transport to and from Dubai. After a day full of indoor/outdoor adventures, you’re sure to be hungry. The Madinat Souk has a dizzying array of restaurants, from Trader Vic’s to sushi, but its crown jewel is Pierchic, which serves up fresh seafood with stunning views. Après sits right at the bottom of the ski run at Mall of the Emirates, so you can sip wine and have fondue while you watch people tumble down the slopes. If you love Indian food, you must try Chapphan Bhog, an all-vegetarian Indian restaurant that serves up some of the best Indian food you’ll ever have for next to nothing (as in, under $30 US for dinner for five people.) Best of all, they deliver almost anywhere in Dubai, so you can get room service without paying room service prices. 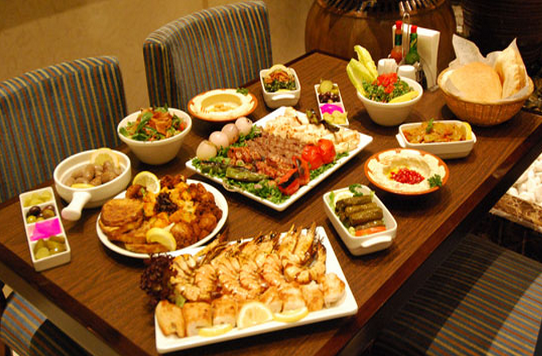 Lebanese food is hugely popular in Dubai, and many Lebanese restaurants have patios where you can sit outside and smoke a hookah and people-watch. Standouts spots include Al Safadi (near the World Trade Center), Zaroob (in the Jumeirah), and Reem Al Bawadi (with seven locations, including the Marina, the Jumeirah and beside the Burj Khalifa). If you have a taste for tea and money is no object, head to Skyview Bar at the Burj al Arab. Perched on the 27th floor of the iconic dhow-shaped hotel, the lavish, English-style afternoon tea in this glittering kaleidoscope of a restaurant is a once-in-a-lifetime experience that costs over $100 a head—before you’ve even added a glass of Champagne. For women visiting Dubai, there’s no need to cover your head or even your calves, but modest dress is certainly appreciated. If you’re jogging or exercising, running or workout attire is fine, and bikinis are de rigueur on the beach, but be sure to cover bare legs, arms, etc. when entering a mosque, mall, shop, restaurant, or any other place where you might run into locals. For a night out, Western-style club attire is acceptable, but to ensure your safety and avoid any potential harassment, take a taxi to and from your evening destination(s). Did you manage to snag an Etihad fare that will take you to/through Dubai? We’d love to hear about your plans in the comments below.